It has been said in one form or another since the early 20th Century that when one is handed lemons by life the best reaction is to turn those lemons into lemonade. Of course, I have also always felt that when life hands you both lemons and tea leaves the best course of action is to make an iced tea lemonade drink named after a certain famous professional golfer. After a recent last minute cancellation of a planned trip to Italy I was provided with enough lemons and tea leaves to make gallons upon gallons of delicious Arnold Palmers. When life hands one lemons and tea leaves the best course of action is to make and Arnold Palmer, also known as a “half and half” in some circles. But instead of drinking myself into an Arnie induced sugar coma, I figured I would be a bit more productive with my new found, and completely unexpected week at home. 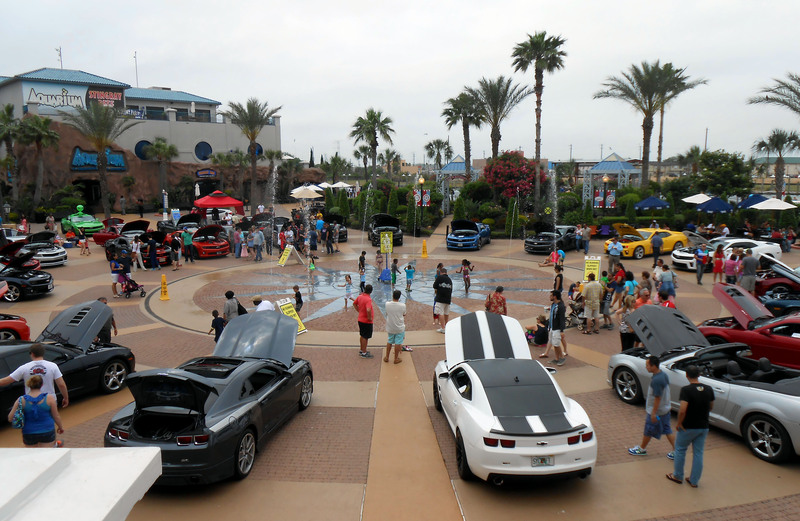 While the area around Galveston Bay in Texas certainly does not offer the majestic views of the Italian Alps, there is no shortage of activities to keep oneself occupied this time of year. From music festivals to festivals celebrating cultures and food from around the world the weekends offer a plethora of things to do. There is of course also the plentiful Houston sports scene for one to take part in as well. The tricky part is deciding which festival or sporting event is worth attending among the many choices. One of the main criteria I used for planning the weekend was trying to pick activities to represent an All-American holiday road to replace my Clark Griswald European vacation. With the parameters in place I decided that I would begin my non-European weekend with some good old American muscle in the form of a Chevrolet Camaro show. My All-American try not to think about Italy weekend started with a circle of Camaros. While I have always tended to be more of a Mustang and Firebird type of guy I can certainly appreciate the history of the Camaro and its lasting impact on the American car scene. I can also confess to shedding a few tears for those priceless corvettes that fell victim to the sinkhole in Kentucky earlier this year so my love of cars stretches beyond Mustangs and Firebrds and does allow room for Chevrolets. I was a little disappointed at the lack of older Camaros at the car show as most of the cars had the exact same body style give or take. After getting my fill of muscle cars my next all-American adventure came in the form of a trip to Dairy Queen for tacos, onion rings and soft serve. But while the Camaro viewing and carnivorous treats were nice the icing on my All-American Arnold Palmer sipping Saturday was of course attending the regular season pitching debut of former NBA star turned professional baseball player for the Sugar Land Skeeters, Tracy McGrady. While it certainly is conceivable that I could have found at least one Camaro and some onion rings in Italy, I definitely would have missed seeing the game in person had my original plans not fallen through. Adding to the excitement of a trip to the Ballpark was the fact that it was Cajun Night which meant crawfish and Mardi Gras beads which are two things that definitely would have been in short supply in Italy. 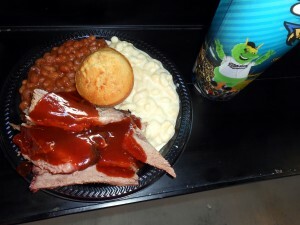 Brisket and Dr. Pepper was next on the menu for the All-American weekend. I opted out of the crawfish though and went with an All-American beef barbecue plate with a Dr. Pepper upon arriving at the Ballpark while trying not to think about how far across the Atlantic Ocean I was supposed to be at that particular point in time. With a belly full of beef and sides I made my way to my seat and prepared to watch a retired basketball player play baseball. Judging by the amount of people wearing Tracy McGrady jerseys I was not alone in wanting to see his debut. 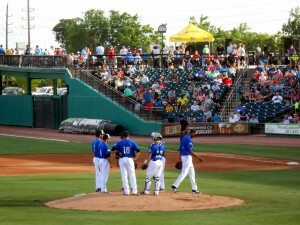 After all it is not every day that a retired NBA player decides to become a professional baseball player. 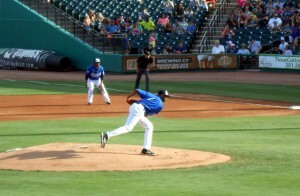 Tracy McGrady’s professional baseball regular season debut consisted of 38 pitches in one and two thirds innings of work and two runs allowed. The debut performance went about as well as one could expect it would be for someone facing their first professional baseball appearance. 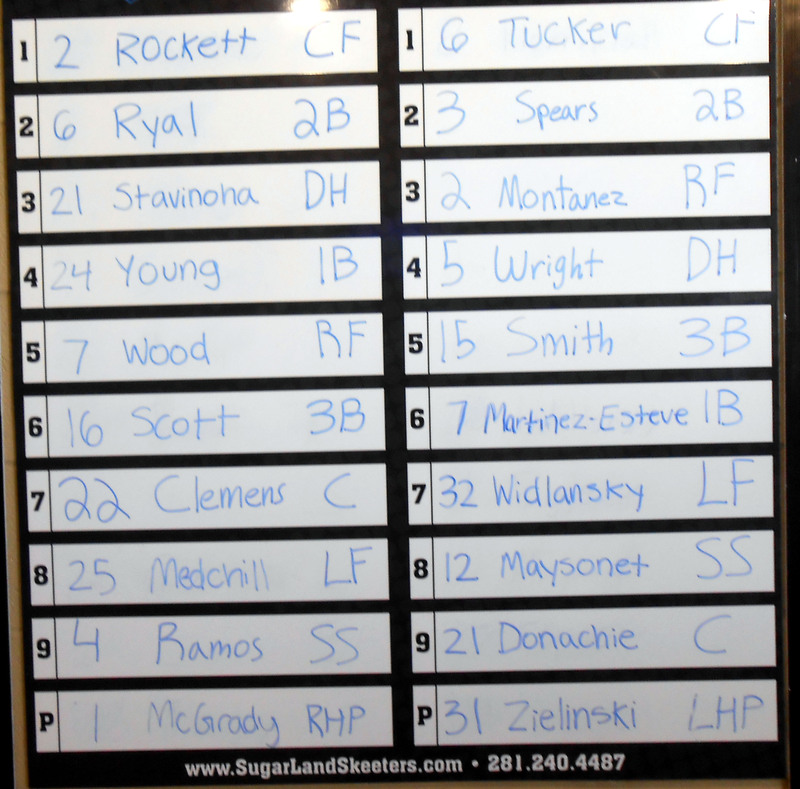 While it was announced prior to the game that McGrady would be on a strict pitch count I doubt that the team figured that he would be pulled after giving up two runs in one and two thirds innings of work. 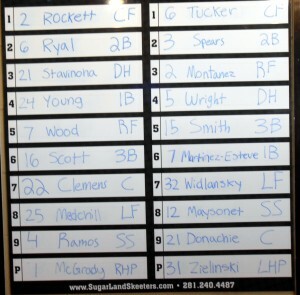 Tracy McGrady made is regular season professional baseball debut when he start on the mound for the Sugar Land Skeeters Saturday. I feel bad for the fans who arrived late to the game as the debut was over before many of the announced sellout crowd arrived. Just as it is too soon to throw in the towel on the Tracy McGrady baseball experiment after a single start it is also too soon to call it a success. Points to be made on both sides of that argument will be looked at more on Wednesday. But regardless of the length of his debut or whatever happens next Tracy McGrady can call himself a professional baseball player. 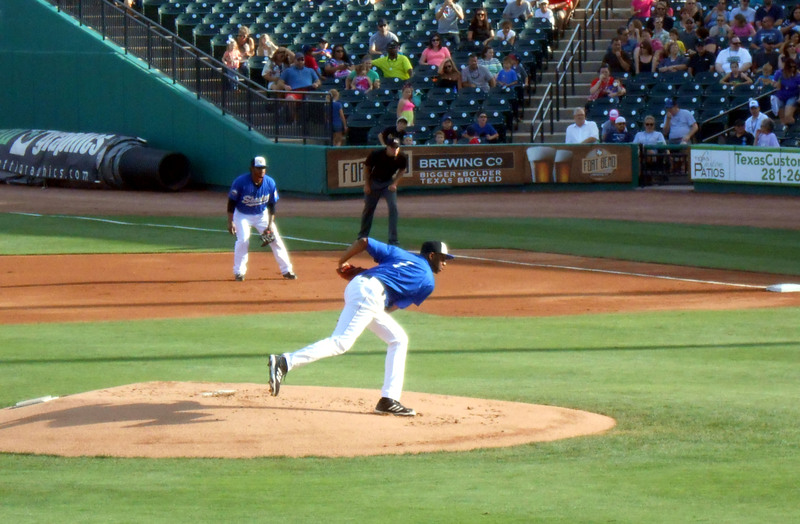 Tracy McGrady had 18 of his 38 pitches count as strikes during his professional baseball debut with the Sugar Land Skeeters. While I would be lying if I said that I was not disappointed to have my Italian getaway yanked away from me at the last minute I must admit that my All-American weekend was not too shabby. Plus, as my mom was quick to point out my trip falling apart meant that I would have the opportunity to visit her on Mother’s Day. 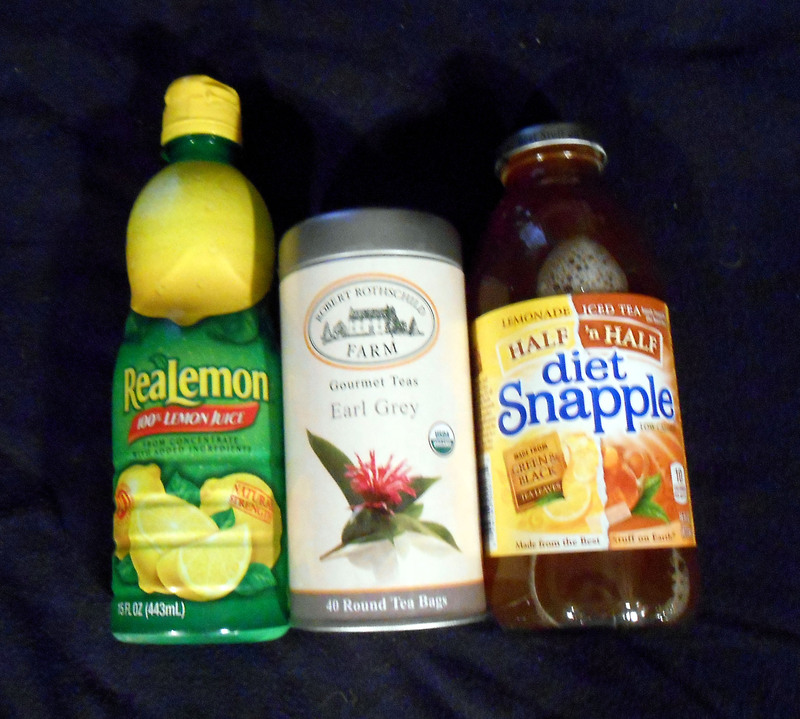 Now if you’ll excuse me, all of this talk about lemons and tea has me a little thirsty. I wonder what I can find around here to drink.